Ann Arbor, MI, USA - March 30, 2011 - Thomson Reuters and Iatric Systems, Inc have collaborated to offer content from the Micromedex CareNotes System integrated into the Iatric Systems Patient Discharge Module. Thomson Reuters and Iatric Systems, Inc have collaborated to offer content from the Micromedex CareNotes® System integrated into the Iatric Systems Patient Discharge Module. Hospitals use CareNotes, one of the Micromedex clinical evidence solutions from Thomson Reuters, to provide patients with educational information about all aspects of their care and health. Iatric Systems provides two innovative medication reconciliation solutions. One helps your organization accomplish thorough medication reconciliation at all transitions of care. The other helps save physicians time in issuing accurate prescriptions at the time of discharge. Iatric Systems customers can now access CareNotes content within the Patient Discharge Module allowing doctors, nurses, pharmacists and other healthcare professionals to quickly deliver important clinical discharge instructions to patients. This solution enables healthcare providers to meet criteria outlined in the U.S. government’s Meaningful Use objectives, which require eligible healthcare professionals and hospitals to provide patients with electronic care information, including discharge instructions. The new offering creates a fully integrated module that combines personalized post-discharge instructions and medication monitoring with the most trusted patient education content available to help clinicians provide patients with customized materials about their conditions, medications, treatments, and follow-up care. Iatric Systems customers will be able to seamlessly access Micromedex educational materials from within their existing workflow, improving clinical performance as well as health outcomes and patient satisfaction. 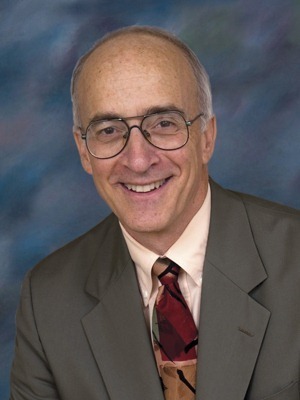 Joel Berman, President, Iatric Systems. Joel founded Iatric Systems in 1990. His extensive healthcare and technology background combined with his education have resulted in innovative HCIS software solutions. When asked to share his business strategy Joel will say, "Our strategy is to listen to our customers, to give them the products and services they value and to build trust. We don't just say this - we live it!" “Clinicians need immediate access to evidence-based content in order to build customized post-discharge instructions for their patients,” stated Joel Berman, president of Iatric Systems. The Micromedex CareNotes System supports every step in the continuum of care. With topics including diet, exercise and disease prevention and a host of “how-to” documents, CareNotes empowers patients to actively participate in their care, all while meeting Joint Commission and OBRA ’90 patient education guidelines. Since 1990, more than 900 hospitals worldwide have implemented Iatric Systems solutions; optimizing patient care and staff workflow in clinical, financial and administrative areas. “Electronic health records are changing the way that healthcare professionals and patients manage medical care and day-to-day health concerns,” said Thomas Hegelund, executive vice president at Thomson Reuters. Recognized by Inc. 5000 as one of the fastest growing privately held companies for the past three years, Iatric Systems helps hospitals and health systems leverage their HIS investment with software, interfaces and reporting services. Iatric Systems was acknowledged on the Healthcare Informatics Top 100 Healthcare IT Revenue list in 2009/2010 and the Modern Healthcare Top 100 Best Places to Work in Healthcare IT in 2009/2010. We combine industry expertise with innovative technology to deliver critical information to leading decision makers in the financial, legal, tax and accounting, healthcare and science and media markets, powered by the world's most trusted news organization. Iatric Systems provides two innovative medication reconciliation solutions. One helps your organization accomplish thorough medication reconciliation at all transitions of care. The other helps save physicians time in issuing accurate prescriptions at the time of discharge. • Reduces medication errors and pharmacy "call-backs"
Tom Glocer is Chief Executive Officer of Thomson Reuters, the world's leading source of intelligent information for businesses and professionals. Mr. Glocer joined Reuters Group in 1993 as Vice President and Deputy General Counsel, Reuters America. During the period 1993-2001 he held a number of senior leadership positions at Reuters, including President of Reuters LatAm and Reuters America, before being named CEO of Reuters Group PLC in July 2001. Mr. Glocer became CEO of Thomson Reuters upon the acquisition of Reuters in April 2008. He is a director of Merck & Co., Inc. and the Partnership for New York City, and a member of the Council on Foreign Relations, the Business Council, the International Business Council of the World Economic Forum, the Columbia College Board of Visitors, the President’s Council on International Activities at Yale University, the Advisory Board of the Judge Institute of Management at Cambridge University, the European Business Leaders Council, the International Advisory Board of British American Business Inc., the Madison Council of the Library of Congress, and the American Law Institute. Mr. Glocer holds a bachelor's degree in political science from Columbia University (1981) and a J.D. from Yale Law School (1984). Mr. Glocer is married with two children and lives in New York City.